If you love Modern Design Villa With Private Pool then you Must see our newest Availability In Khalifa City A. Pool Maintenance And Cleaning IS Included in Your Rent Amount !! When only the best is good enough, rely on Mega Home to deliver for you! 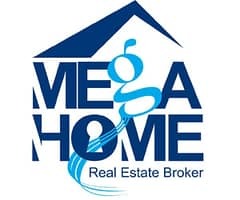 Mega Home is a group of specialized House Hunters, whose only mission is to listen to YOUR requirements, and finding you the best possible fit. We understand that choosing a property is not only a question of correct number of bed rooms or a rent that matches a budget. It is a much more personal decision that will play a big part in determining your quality of life during your period of residence in the UAE. The team at Mega Home have scouted the market for you, and found this incredible new property that we present to you for your consideration. 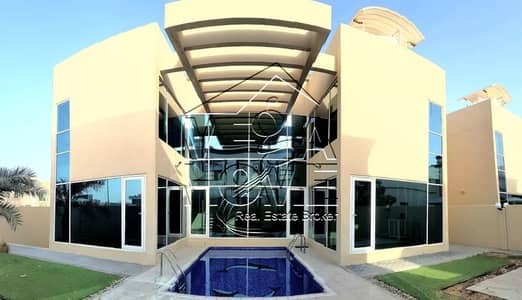 This, our newest find is a very spacious 5 Master bedroom villa, located in Khalifa City A. The main out door features include a amazing swimming pool (see our photos). You have also back yard and Private Entrance with private garage. The windows are open, you can see behind the house garden with a swimming pool. This is where your family can spends time and welcomes visitors. Once inside, you have a huge reception , living's and dining room on multiple levels and designed with a very keen eye for detail. The kitchen is easily large enough to feed the whole family and then some! You also have a guest's bath room and maid's , laundry room's and one master room. Upstairs -on the first floor you have small kitchenette and family area. Where you can enjoy the beautiful view. You have also 4 master bed room's. On the top floor you have study room and guest's toilet. There is at least one pre-school and high school in proximity to the residential areas. The International School of Choueifat (ISC) opened in 2006 and is part of a major chain of schools. The Raha International School, Al Yasmina School (ages 3-18) and the Canadian International School are all under 3km from Khalifa City A. British International School (BISAD)- where my kids attend is a 10 minute drive. The newly opened Gems World Academy is located in Khalifa A as well. For younger kids there is the Humpty Dumpty Nursery and the Teddy Bear American Nursery. They are many school bus services to Khalifa A. Many schools in the area offers plenty of extracurricular programs which kids from any school can usually join so check around.